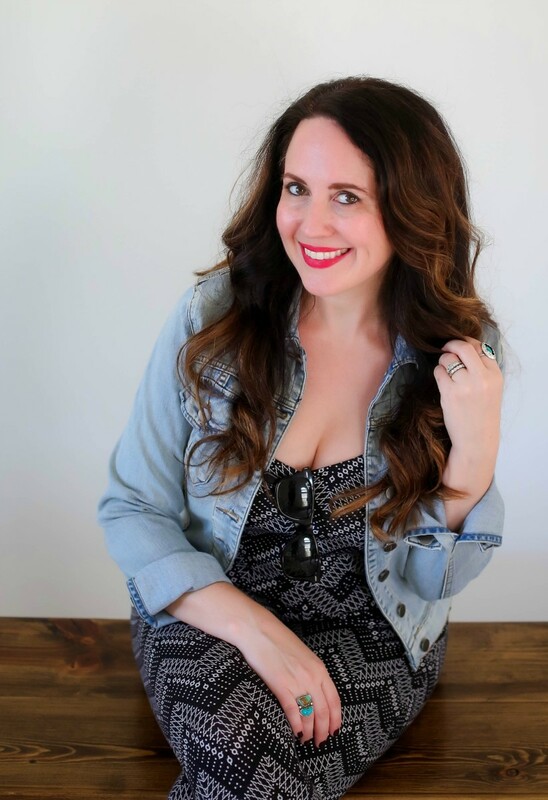 If I polled all of you lovely readers, I bet the jumpsuit would be one of the top pieces you aren&apos;t sure you can pull off. 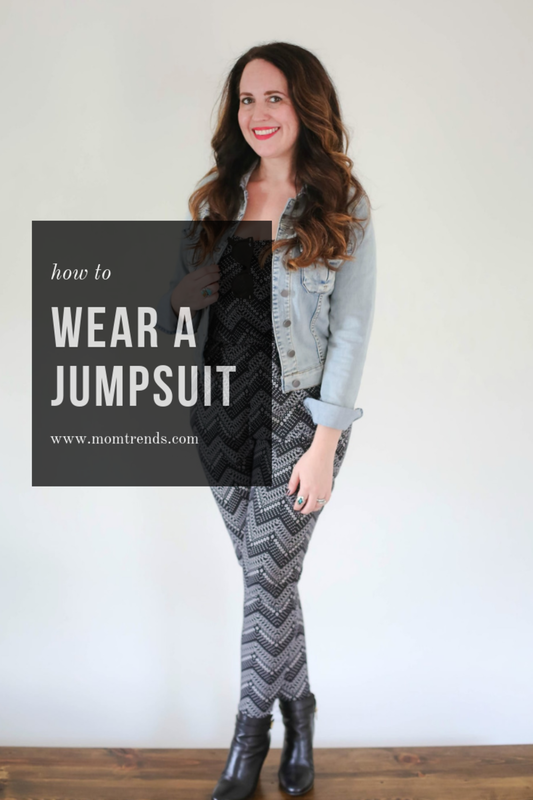 Well, my friends I&apos;m here to tell you today why moms CAN wear jumpsuits. So many women I know are hesitant to even try one on. I get it. You&apos;re worried that they aren&apos;t flattering. Well, that could be true if you aren&apos;t wearing the right jumpsuit for your figure, but never fear. There are plenty of jumpsuits out there in a variety of silhouettes that look just fabulous on an array of figures! In fact, I&apos;m going to show you how to wear one today. And it&apos;s just one of the several that are hanging in my closet. 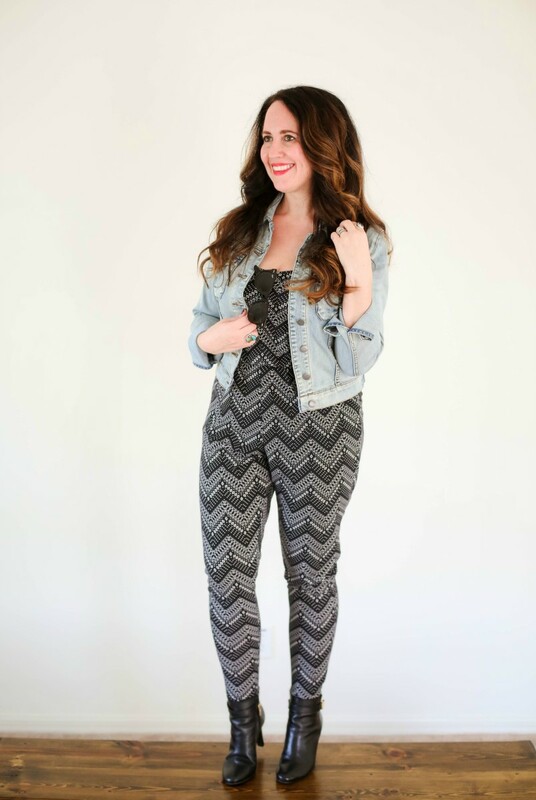 As you can see, you don&apos;t have to be stick thin to rock the jumpsuit. They can totally work with curves! And did I mention that jumpsuits are so darn comfortable? Mine feel like pajamas...No joke! Now that doesn&apos;t mean EVERY jumpsuit feels like pjs. You have to pay attention to the material and the fit if you&apos;re going the comfort route...which this busy mama almost always is. Just sayin&apos;. 1. Layer...If you&apos;re wearing a jumpsuit that is somewhat form fitting like mine, throw a jacket on over it. It will give you a bit of modesty and balance out the tighter areas of your look. 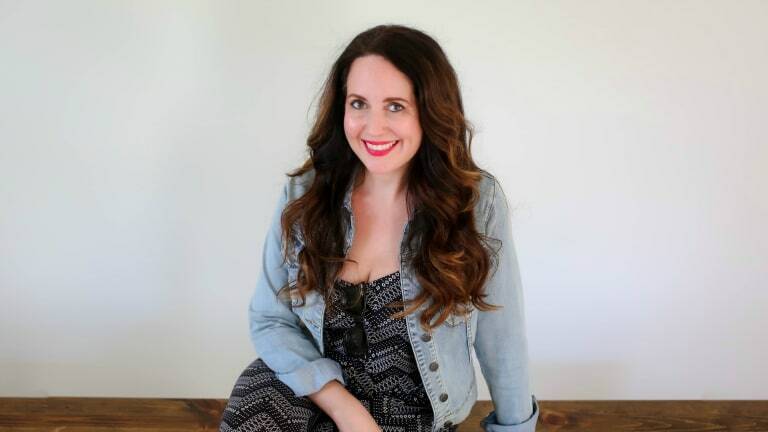 I&apos;m of the firm belief that a good denim jacket can solve a host of fashion dilemmas. Bwah! 2. Accentuate your assets...Are you most comfortable with the upper portion of your body? Go with a jumpsuit that highlights that and is flowier on the bottom. 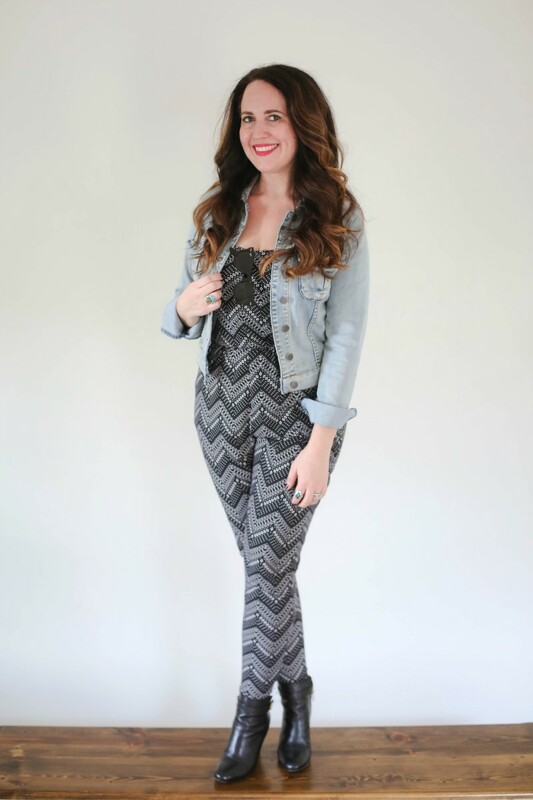 A jumpsuit with a fitted top and wide leg bottoms is your best friend in this case. And if the opposite situation is true, you can go for a blousy top and more fitted bottoms. 3. Pull up, don&apos;t zip up...Unless you have a girlfriend who will be with you all night and can help you get in and out of your jumpsuit, I recommend you look for one that you can pull on and off versus one that has a hard to reach zipper in the back. That&apos;s part of the reason why jumpsuits tend to get a bad rap...the bathroom situation! So, now that you&apos;ve seen why moms can wear jumpsuits, who&apos;s ready to add a jumpsuit to their 2019 wardrobe? I knew you would be! I linked a few of my favorites above so you can get shopping. Each of my picks would be perfect to wear to any holiday get togethers or New Year&apos;s Eve parties you still have coming up. And for more fun fashion advice for moms, check out our go-to brand for mountain loving moms!